A further indication that #MeToo is out of control: an anonymous woman posted a complaint on Twitter saying Armando Vega Gil had sexually harassed her when she was 13. The musician denied the accusation, and killed himself saying he wished to spare his son from ‘suffering the effects of this false accusation against me’. What was that about innocent until proven guilty? 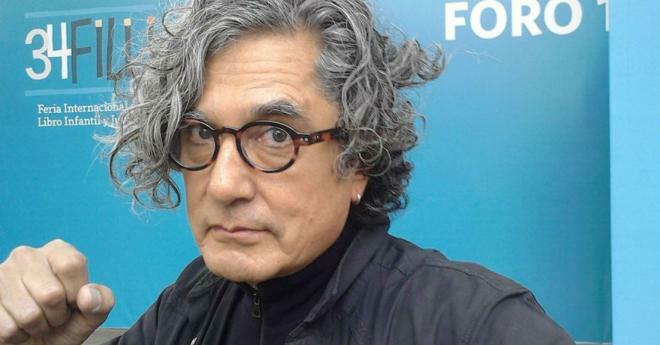 A Mexican rock star was found dead after tweeting that he planned to commit suicide in a “radical declaration of innocence” after being accused of sexual harassment by the country’s #MeToo movement. Armando Vega Gil, 63, the bassist for veteran rock band Botellita de Jerez (Little Bottle of Sherry), died early Monday, the group said on Twitter. The Reuters news agency reports that his body was found at his home in Mexico City by local authorities. Vega’s death poured new fuel on a fiery debate over #MeToo in Mexico. The movement has triggered a flood of sexual assault accusations against journalists, academics, writers and others in the cultural sphere in recent weeks. 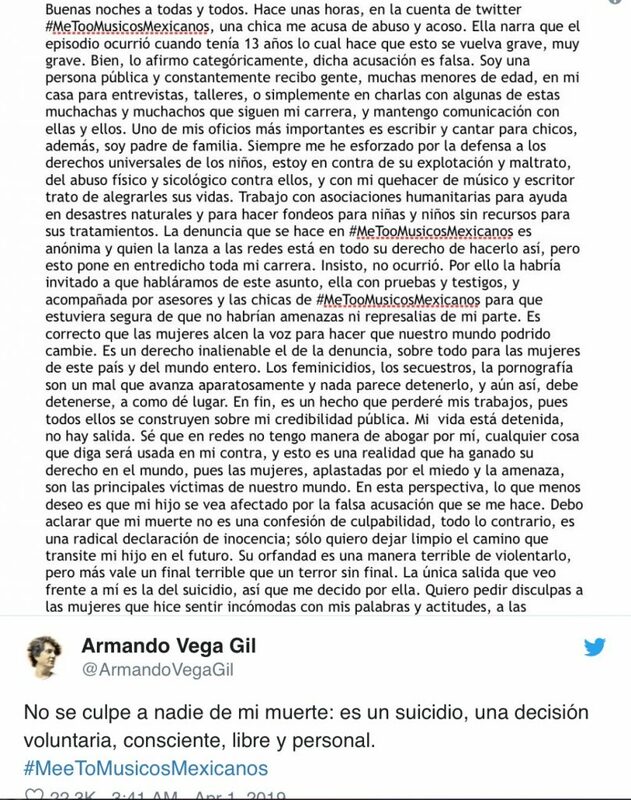 Before he died, Vega Gil posted a suicide message on Twitter. He strongly denying the accusations that had been made anonymously via the @MeTooMusicaMX account on Twitter. He said, given the power of social media, he believed that he would not be able to clear his name and that he wanted to make sure that his son’s life was not blighted by the accusations. Even if you think this guy might have been guilty — how fucked is this? It’s pretty fucked that a guy who claims that he doesn’t want his son’s life blighted, accomplishes that, in his mind, by killing himself. A sign that #MeToo is out-of-control? No. Suicide does not auto-endorse alleged victim blaming. Nothing this guys says makes logical sense. Suicide will scar his son for life.